February 15th is National Gumdrop Day so naturally I needed to do a gumdrop cocktail. 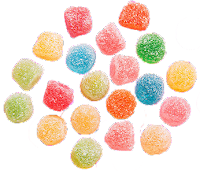 I always like to dig into the history behind my recipe inspirations, but the only reference I could find for the history of gumdrops was a mention that they were possibly invented in 1801 by a man named Percy Trusdale. Sadly, there's no definitive information to back that up, but do we really care who invented them as long as someone did? Pour the ingredients into a cocktail shaker filled with ice. Shake until well chilled then strain into a sugar-rimmed chilled cocktail glass. 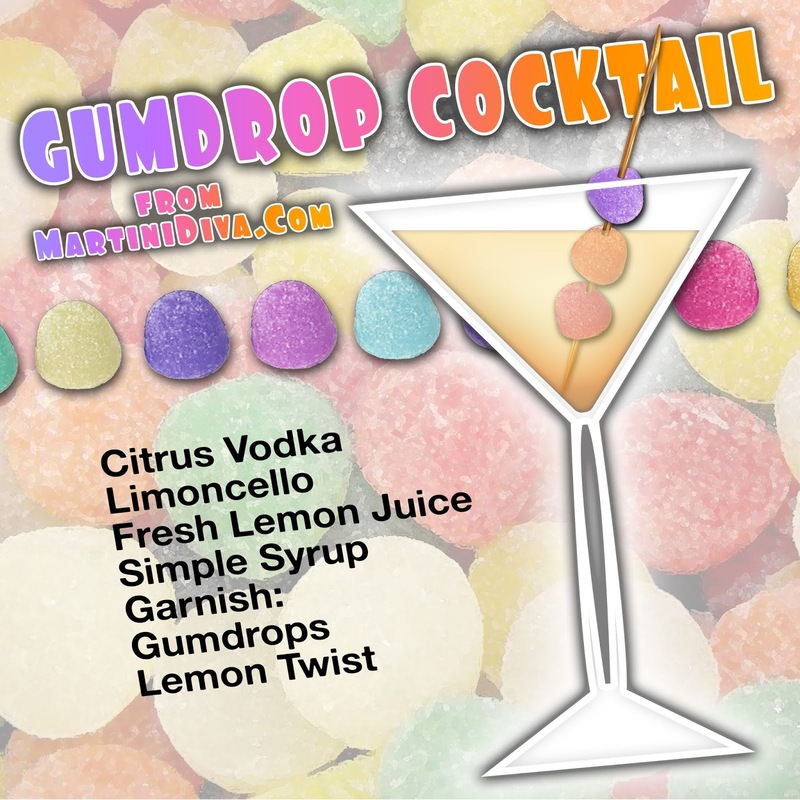 Garnish with a twist of lemon and a few gumdrops then serve. Did you know that the Apollo 9 Command module was called Gumdrop? When the module was delivered it was wrapped in blue cellophane and, being shaped like a cone, it acquired that nickname. 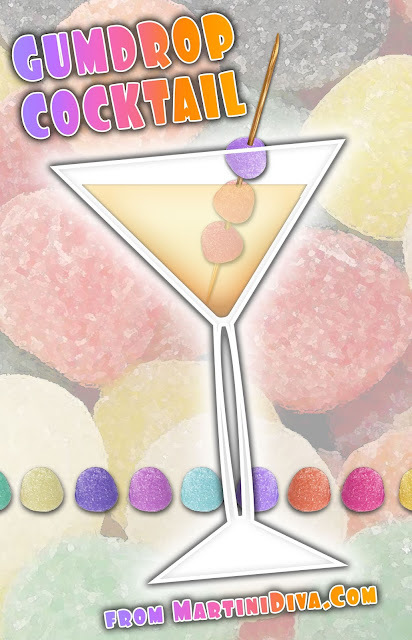 Not that that has anything to do with a Gumdrop Martini, but I thought it was interesting. *Professional Candy Flavorings come in a much wider range of flavors that even include, banana, tutti fruit, watermelon and more. Soak your gelatin in the saucepan in 1/4 cup of cold water for five minutes, then add the 1-1/2 Cups of boiling water. When your gelatin is completely dissolved add your sugar and boil on medium/low heat for 15 minutes. At this point you can divide your mixture into as many parts as you want for your different flavors. Pour each into a separate Teflon lined pan, mix in your flavorings and your food colors to get the desired color and taste. Set your pans into the refrigerator at least overnight or for a full day, then you can cut your gumdrops to any size you want and roll each in some granulated sugar. Store in layers of waxed paper in a sealed container. 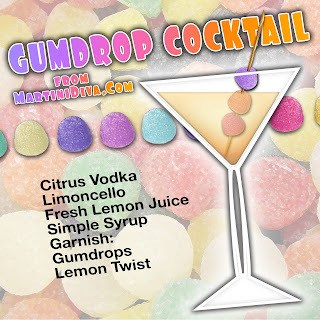 National Gumdrop Day is February 15th.